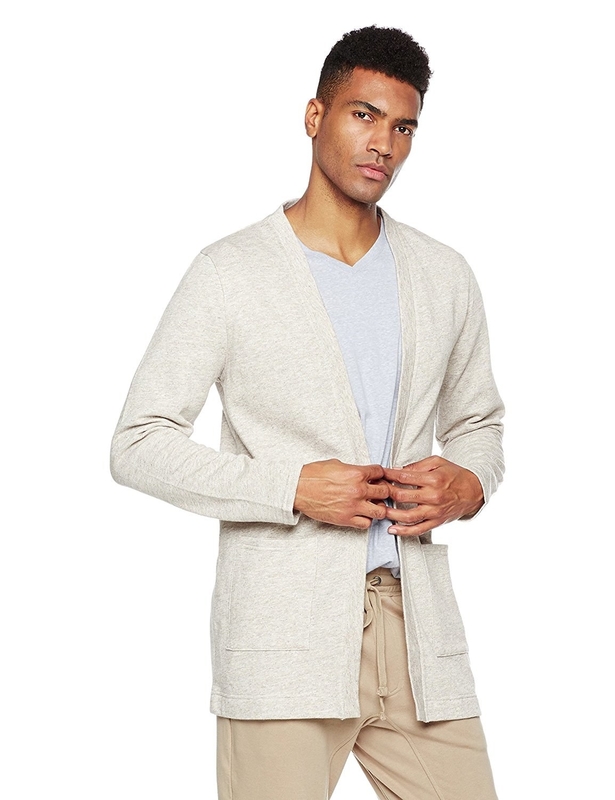 Because no matter how you identify, there's nothing quite as stylish and cozy as a men's cardigan. 1. 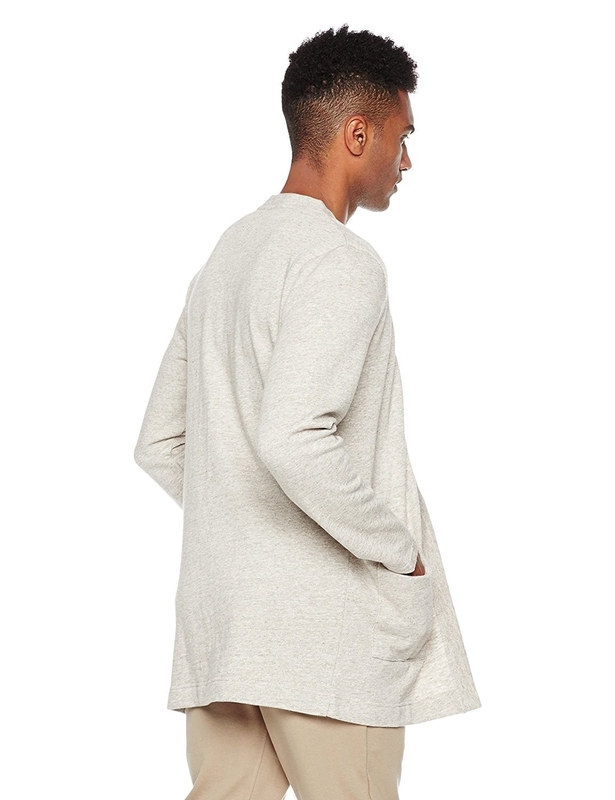 A basic relaxed-fit cardigan that will give you "hip professor" vibes. Get it from Amazon for $32.99 (available in sizes M-XXL and four colors). 2. A chic cardigan that'll moonlight as a vest. Get it from Amazon for $89+ (available in sizes L-XL). 3. A cozy sweater with two front pockets where you can keep your hands. Or, like, some emergency snacks. Get it from Amazon for $21.84+ (available in sizes S-XL and six colors). 4. A sweater to wear while smoking a pipe from the comfort of a tufted leather chair inside a stately home library. Promising review: "Fit is perfect, color is just a little darker than pictured. Soft and warm grandpa-style cardigan that is great for layering, although I got mine to just wear around the house on cold winter nights. I love it. Good quality and pockets are a plus!" —Mark S.
Get it from Amazon for $27.84+ (available in sizes S-XXL and two colors). 5. A classic black cardi you can wear with absolutely anything. Get it from Asos for $54 (available in sizes 2XL-6XL). 6. A bold red cardigan with roomy pockets so you'll be red-y for anything. Get it from Asos for $44 (available in sizes XXS-2XL). 7. A nautical cardigan perfect for those windy days out on your sailboat. Or at least for looking as stylish as someone who might own a sailboat. Get it from Amazon for $103.68+ (available in sizes S-XL). 8. A shawl collar number that's the definition of cozy. Get it from Asos for $40 (available in sizes S-XL). 9. A colorblock cardigan with a basic black, white, and gray palette that makes a mark. Get it from Amazon for $80.60+ (available in sizes S-XXL). 10. An oversized cardigan that you will probably never want to take off, except to put on one of these other cardigans. Get it from Amazon for $28.95 (available in sizes S-XXL and two colors). 11. And a bold plaid sweater so you can check "look awesome" off your to-do list. Get it from Asos for $103 (available in sizes S-XL).